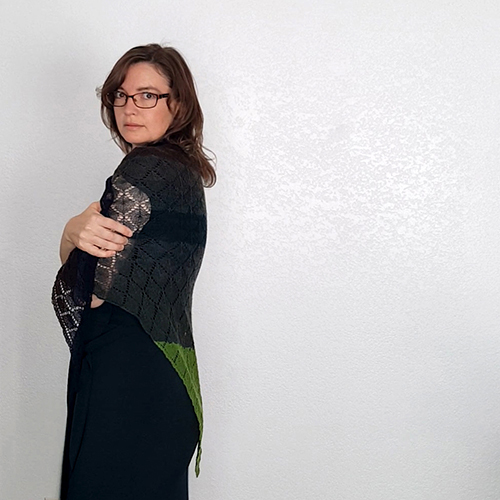 This Knit Shawl Pattern is simple and elegant making it a shawl pattern that even beginning lace knitters can enjoy. 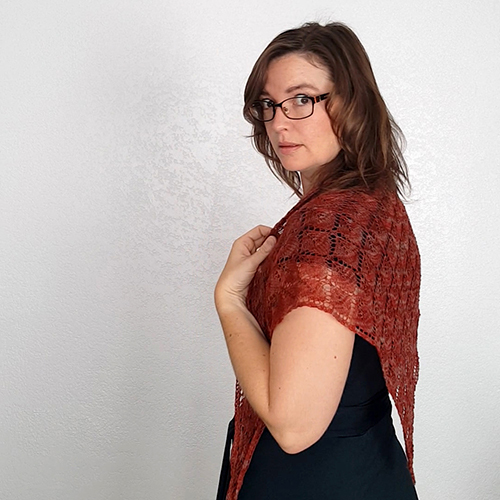 Kellerwald is an elegantly simple triangular shawl pattern perfect for even the beginning lace knitter. It’s flexible design mimics the leaves of the ancient beech trees of Germany’s Kellerwald forest. 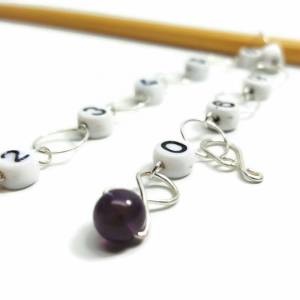 The easy to memorize 6 row repeat makes it a great carry along project. 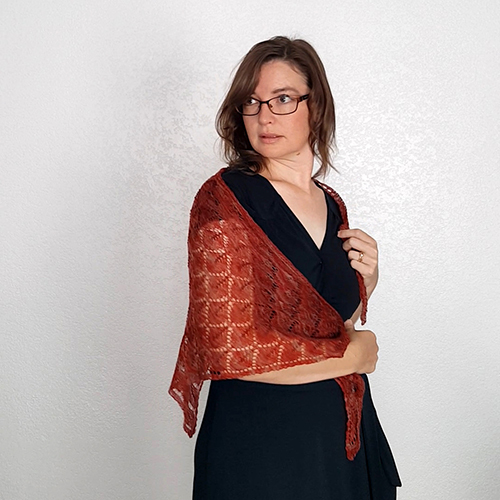 The finished shawl will be sure to become a wardrobe staple as its gossamer feel and pleasing shape will help make every day enchanting. 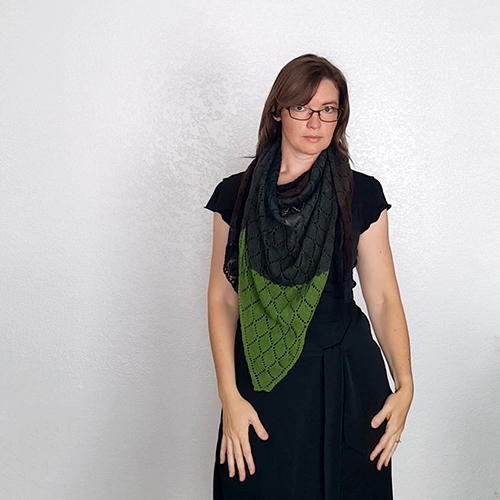 *One skein project – Quick and easy design to highlight your most precious yarn. *Infinitely adjustable sizing – Flexible design allows you to get the PERFECT size.